Here’s an article originally published in 2012. The song opened haltingly, then picked up speed and exploded to madness. There was something masculine about it. Not in a gruff, rough fashion but in a demented sensitive way lost on today’s competitive world. This song bothered about person and universe. That seemed to be its attitude – to hell with everyone and everything! It wasn’t long before my uncle spoke of Anthony Quinn and the film Zorba the Greek. He owned two versions of the title song– the Purcell and there was another energetic rendition with trumpets. I remained partial to Purcell. The original score was played with a plucked instrument, something I discovered much later. For several years thereafter I knew nothing more of Zorba. Then one of the video libraries back home began accumulating titles from the black and white past of cinema. That library is no more there in Thiruvananthapuram but I still remember my membership number. From there I got a VHS copy of Zorba the Greek. The transition from imagery inspired by music to the actual story was jolting. I had built up this notion of Zorba as a dancing, vivacious Greek but not factored in the ambience he lived in or the story told as interaction between the two. This was serious cinema, story set in Crete far off from the US and its glamorous studios. I watched the film several times, burning into my head the mad face of Zorba; the writer Basil, played by Alan Bates and the pathos that surrounded Lila Kedrova’s Madame Hortense. I was amazed by how striking Irene Papas looked on black and white film and touched by the story of the widow – it was a universal story of the lone woman and the scene of Mavrandoni killing her could have been from anywhere. Equally universal I felt was the decline of man when in a group as personified by the villagers’ attitude towards the widow and the utter superficiality of human belonging as evidenced by the villagers stripping the Hortense residence of all things useful upon the lady’s demise. The film was a turning point for many of its cast. The role of the santuri-playing Zorba was reckoned to be the zenith of Anthony Quinn’s career. It earned him an Oscar nomination although the two Oscars he got were as supporting actor in earlier films, Viva Zapata and Lust for Life. For Lila Kedrova, the role of Madame Hortense defined her Hollywood career. She won a best supporting actress Oscar. Alan Bates became much remembered as the gentle writer in the shadow of Quinn’s eccentric Zorba. For Irene Papas, the 1964 film cemented her presence in international cinema following as it did her appearance in The Guns of Navarone three years earlier. The film was arguably the most important one in the career of director, Mihalis Kakogiannis, also known as Michael Cacoyannis. He was nominated in three categories, including best director but did not win an Oscar. Composer Mikis Theodorakis, a noted political figure in Greece, has to his credit a vast repertoire of music. Zorba’s Dance remained his most memorable film score. That fantastic piece of music did not merit an Oscar nomination. However, two other Oscars did grace this unforgettable film – best art direction and cinematography. What I hadn’t tasted as yet was the original creative work behind it all – the novel by Nikos Kazantzakis. This famous Greek writer, who narrowly missed out the 1957 Nobel Prize for literature to Albert Camus, had to await the release of the Kakogiannis film to be world renowned. Several years went by. I was now journalist, probably as old as Basil (unfortunately not as rich to spare money for mining) and walking around Mumbai (an island like Crete), when I spotted a tattered copy of Kazantzakis’ book with one of the second hand booksellers at Flora Fountain. It was musty yellow, had fallen apart and the previous owner had stuck it up with cello tape. It was published by Ballantine Books and likely hailing from the fourteenth edition of the novel printed in February 1969 for right on top of the front cover, above a dancing Zorba, was the announcement, “ the smash Broadway musical!’’ After its success on screen, Zorba had two runs on Broadway and the book’s cover seemed to indicate the first from November 1968 to August 1969 with Herschel Bernardi as Zorba and Maria Karnilova as Madame Hortense. In the second avatar that ran from October 1983 to September 1984, Anthony Quinn and Lila Kedrova essayed on stage the characters made famous by them on celluloid. That old book was how I finally got around to reading the story of Alexis Zorba. On the very first page was an abstract from Time magazine: “ who is Zorba? He is everyman with a Greek accent. He is Sinbad crossed with Sancho Panza. He is the Shavian Life Force poured into a long, lean, fierce-mustached Greek whose 65 years have neither dimmed his hawk eyes nor dulled his pagan laughter. Author Kazantzakis tried to kill him off in a letter. But he reckons without his own talent. He has created Zorba, but he cannot kill him.’’ From The Nation: “ Wonderfully moving, superbly written. 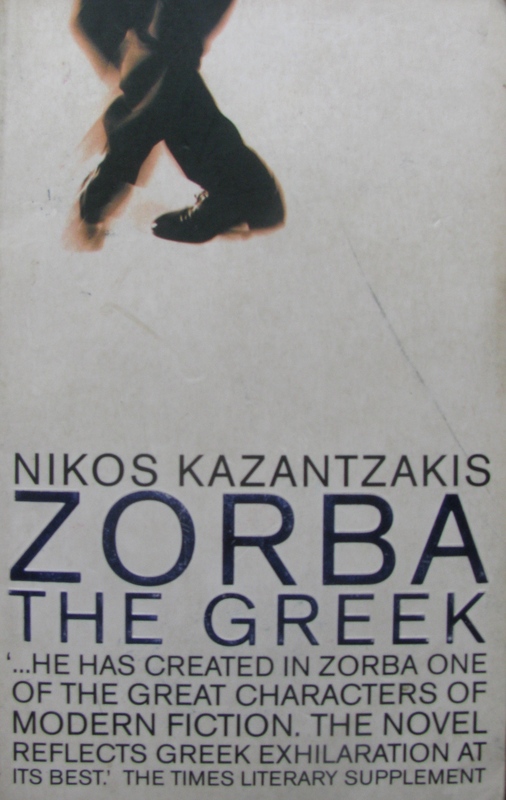 Zorba belongs in the gallery of sainted rascals.’’ And on the back cover, the Saturday Review said: “ Alive with energy…Earthy and Rabelaisian – a strange journey into a haunting, wild and poetical conception of life.’’ The book was a splendid read. A few more years lapsed before I picked up a VCD of the film. Later, I bought a brand new copy of the book just in case my vintage edition fragmented for good. I wonder what attracts me to Zorba. Maybe it’s that he broke free of people and became a person. Maybe it’s the specter of life laid bare. Madame Hortense and the widow – they are hauntingly that. They could be any of us despite changed times. Similar unchanged truth – the human insecurity that underlies man’s ornate constructions, echoes in Zorba’s irreverence for religion. Then there is Zorba’s view of life at large from women to writing. 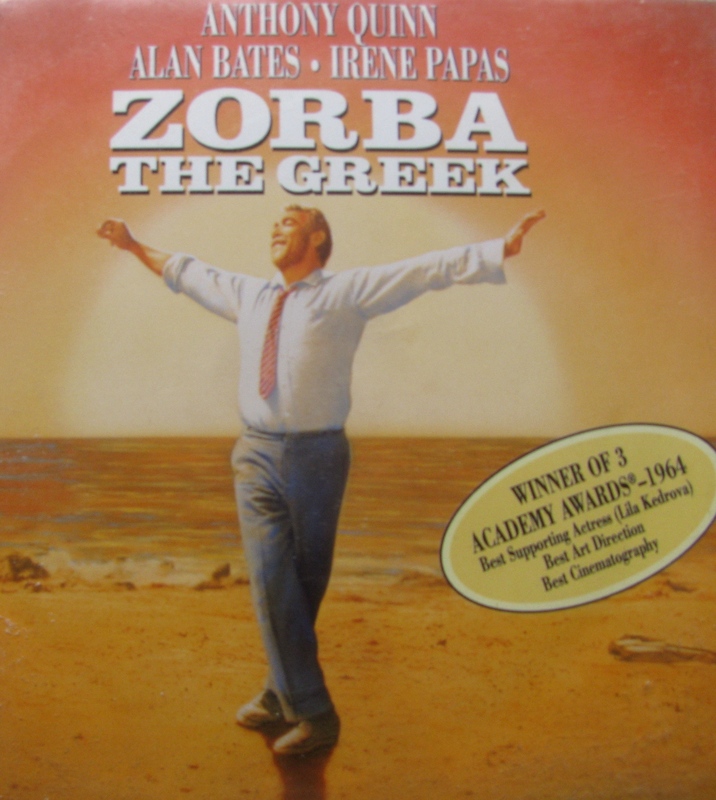 I can’t help liking Zorba. I love the music, the book and the film. Not to mention, that golden brown glow of apple juice in a glass long, long ago, among my first instances of being treated as a person. Here’s a story originally published in 2013. It has been updated for developments since then. 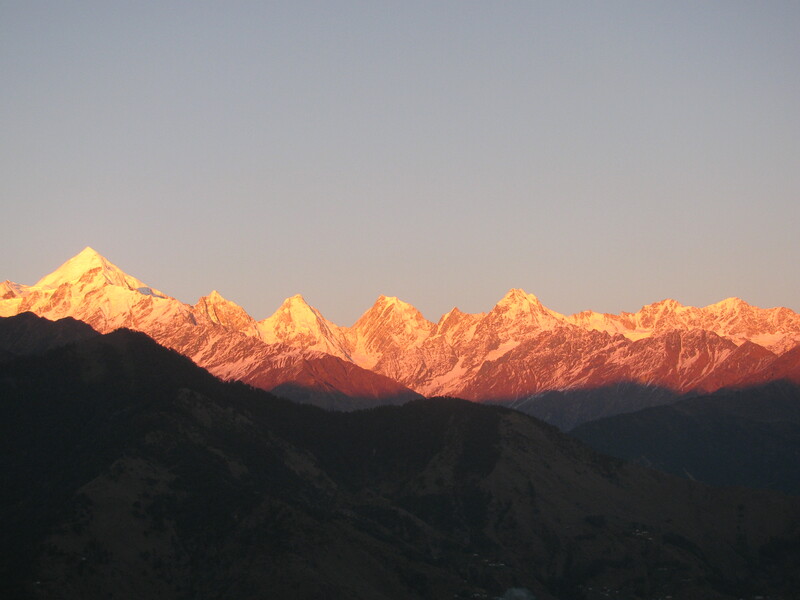 At 6861m, Nanda Kot is the highest peak in the impressive arc of mountains guarding the Pindari Glacier area in Kumaon. On the map, this place falls in the eastern half of the Indian state of Uttarakhand through which the Central Himalaya passes. 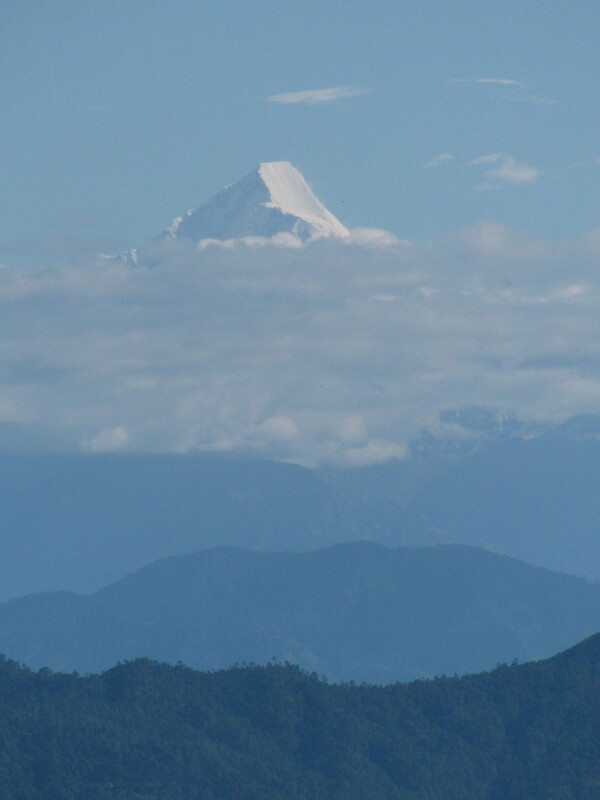 In 1989, a youngster from Kumaon’s Munsyari region – to the east of Nanda Kot and not far from the Nepal Himalaya – reached the summit of the peak with a team from Lucknow, the city where he studied. Willing to do anything to be on a mountaineering expedition, he had literally worked his way to the summit doing all sorts of jobs for the expedition. Atop Nanda Kot, he was happy for mission accomplished. He had no idea of what lay ahead, for although at ease at altitude reaching thus far had been quite a journey for the young man hailing from Bona, a village 2200m up in the Kumaon Himalaya and roughly 35 km away from Munsyari. He knew he wanted to return to mountaineering but just then it all seemed too much for him. Certainly he doesn’t recall giving any special attention to the eastward stretch of the Himalaya moving into Nepal, where on the edge of that country and Tibet towered the world’s highest peak. Nanda Kot was the young man’s first expedition. Life continued nondescript. He did his `adventure course’ from the office of UP Tourism’s Officer on Special Duty (OSD) in Uttarkashi (those were the days of undivided Uttar Pradesh [UP], when the yet-to-be Uttarakhand was still part of the large state of UP). The facility provided a taste of adventure to school students; teachers, young people. He worked there as a help earning Rs 75 daily. In 1990, he did his Basic Mountaineering Course from the town’s Nehru Institute of Mountaineering (NIM), following it up with courses in Advanced Mountaineering, Search & Rescue and Method of Instruction. In 1992, he found berth on an expedition to the 7516m-Mamostong Kangri in Ladakh. Returning from Ladakh he moved to the 6236m-Nanda Bhanar, reaching near the summit with an expedition from Lucknow. In 1997, the young man was Liaison Officer for a British expedition to the 6309m-Nanda Ghunti, led by Martin Moran. That trip exposed him to alpine style ascents which typically feature a small team with little hired help and climbers doing everything themselves. 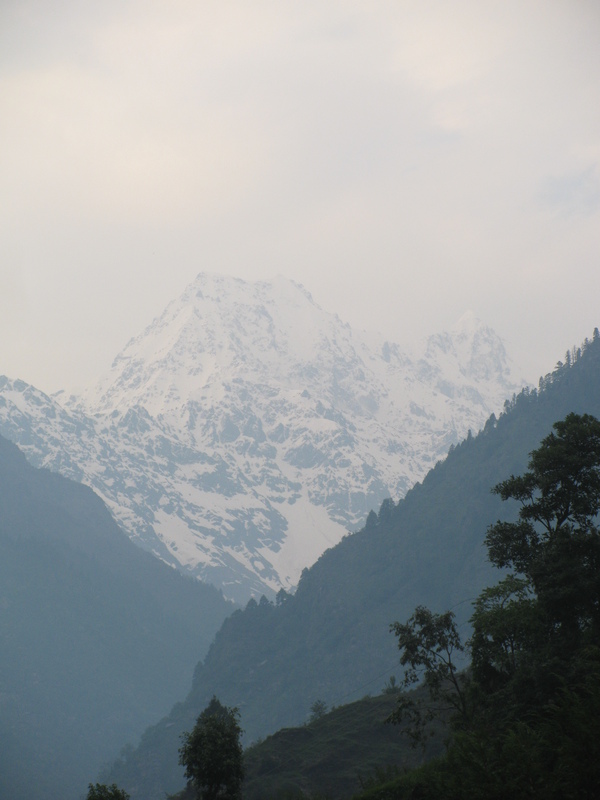 He then rushed to Gangotri where a team from Mumbai engaged in a set of pre-Everest climbs had asked him to join them. Their invitation is a complicated story, the crux of which was his role some time before in trying to retrieve the body of a Mumbai mountaineer. Eventually, the body was not retrieved but word reached Mumbai of the helpful young man. So, when Mumbai put together its first civilian expedition to Everest (Tata Group was the main sponsor) under the leadership of Rishikesh Yadav, our young man was made team member. Months later, in 1998, two summit windows would open up for the Mumbai team during their climb from the Tibet side. In the first, Surendra Chavan, then working for Tata Motors, would reach the summit of Everest (8848m). In the second, a young man, who almost ten years before had been on Nanda Kot stood at the world’s highest point. Expedition over, he returned to his job at the OSD. But Everest and Love Raj Singh Dharmshaktu had commenced a journey. May 2013 marked sixty years since the first ascent of Everest by Tenzing and Hillary. In a world where people are introduced as `Everester so-and-so,’ Love Raj carried his life in mountaineering lightly on his shoulders. For one, he doesn’t call himself `Everester.’ He is very unassuming, walking casually with slightly stooping shoulders, at peace with the world – which was how he walked in to the office of the Indian Mountaineering Foundation (IMF) in New Delhi, March 2013. People said hello and as we sat in the cafeteria for an interview, an official wished him luck for an upcoming trip to Everest and requested him to look after the others too for he was by now among the most experienced climbers in India for attempting Everest. Should that trip happen, it would be Love Raj’s seventh shot at the summit. He was already the first Indian to have successfully climbed Everest four times. Everest is probably the best studied 8000m-peak. `Wired’ should be the word, for its normal climbing routes have been so well mastered by commercial agencies that save for vagaries of weather and the trade’s own avarice causing congestion and accidents on the mountain, well performing clients are nearly assured of a summit. An Assistant Commandant with the Border Security Force (BSF), some of Love Raj’s successful ascents were on the normal route. But look closer and it isn’t that simple. He tried and lost on the less wired tough routes. Point is – he tried. 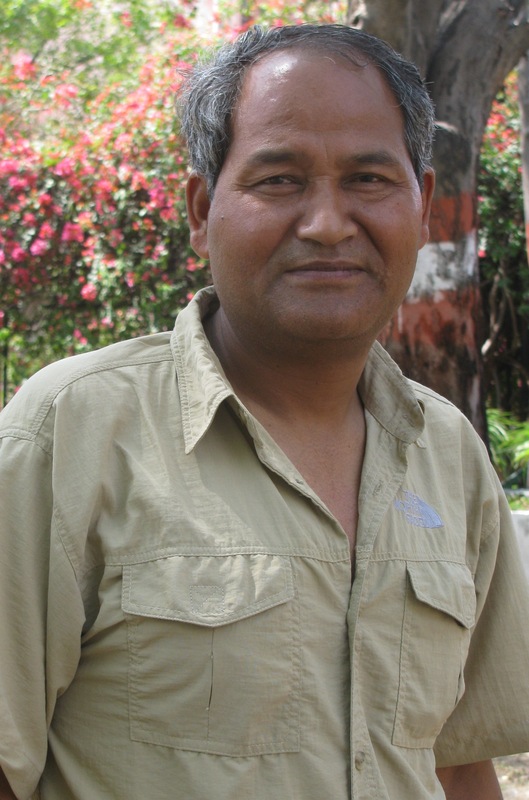 In 1999, noted mountaineer Santosh Yadav led an Indian expedition to Everest’s Kangshung Face, among the toughest mountain faces in the world. Love Raj was part of it. Between Camp 2 and Camp 3 he was hit by a falling stone that smashed his goggles and injured his eye. He had to be evacuated. 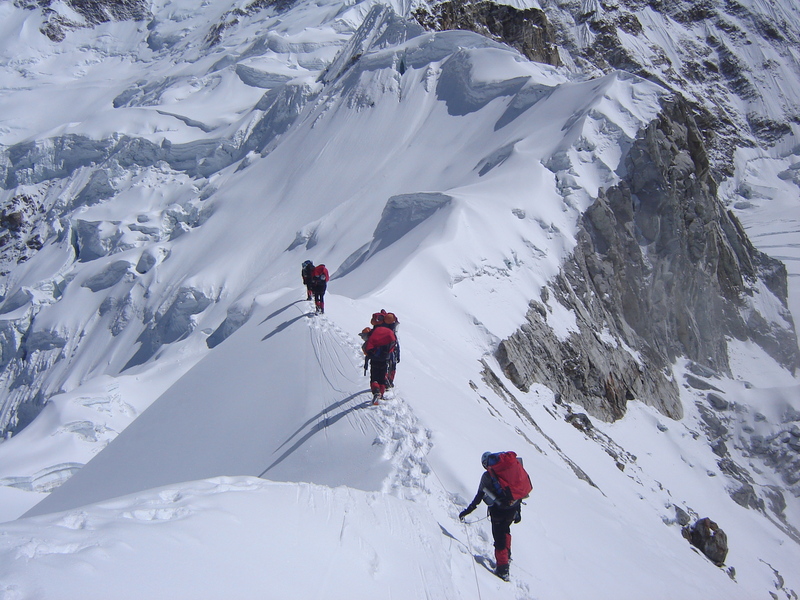 In 2001, Loveraj was back on Everest, again on a route on the East Face in a team led by Santosh Yadav. The team got to the highest point yet reached on that route, he said. Meanwhile with the BSF, he climbed Satopanth (7075m), Kamet (7756m), Mana (7274m) and Abi Gamin (7355m). In 2006, he reached the top of Everest with a BSF expedition. 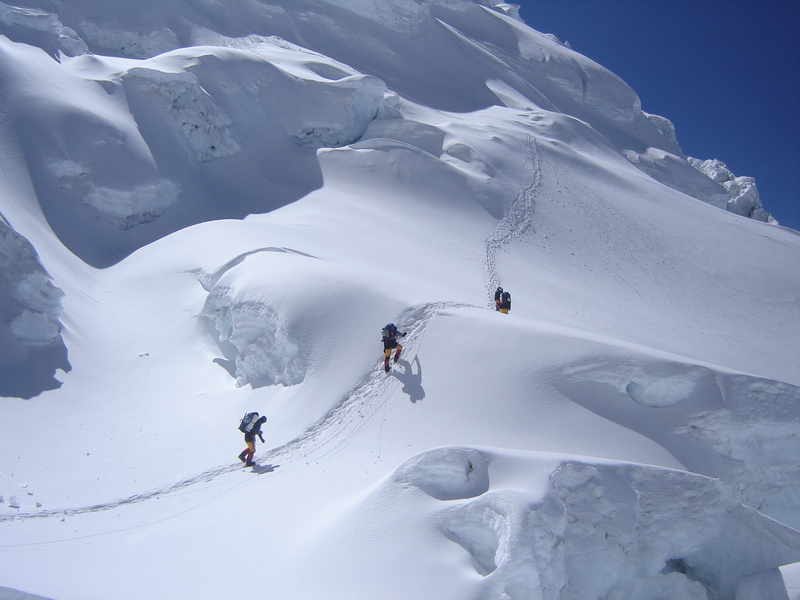 In 2008, on another BSF expedition, he successfully climbed Kanchenjunga (8586m). 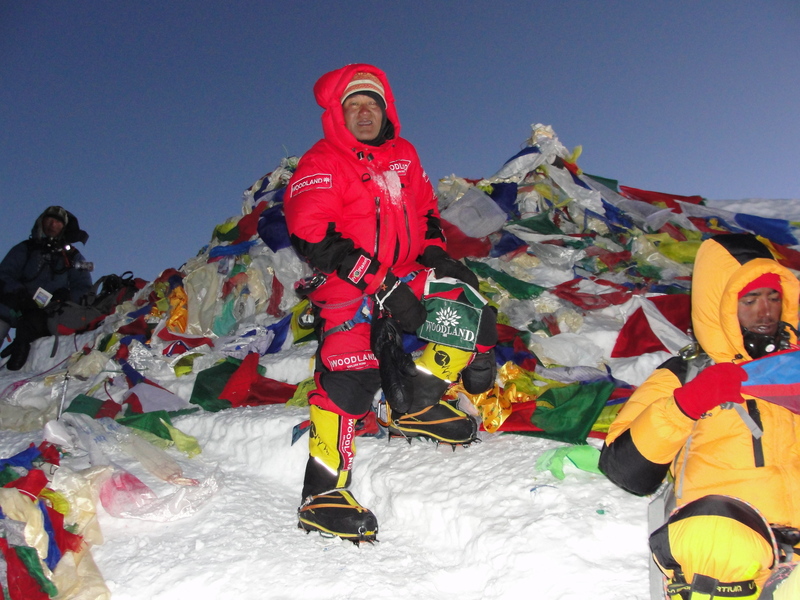 In 2009, as climbing leader on NIM’s Everest expedition, Loveraj reached the summit for a third time. His fourth time on the summit of Everest was in May 2012, part of the Eco Everest Expedition organized by Nepal’s Asian Trekking with a berth for himself sponsored by Woodland, the well known shoe and apparel brand. On this trip, one that also cleaned up the mountain, Love Raj did more than the regular clean-up procedures, picking up garbage even from the approaches. He also attempted to climb without using bottled oxygen but eventually submitted to its use from higher camps. A superlative known worldwide, Everest attracts for the glory it promises. Successful climbers become famous. Pay Rs 13-15 lakhs (1300000 to 1500000), another Rs 2.5 lakhs or so for equipment – all this is accessible, courtesy a commercial trip. This has diluted the sheen of Everest. However from a climber’s perspective, Everest is any day challenging and particularly challenging along its less climbed faces where few trophy hunters go. For example, Love Raj believes that Kanchenjunga is a technically difficult (he also loved its isolation with no other team around) but safer climb than Everest. Accounts of Everest’s East Face are replete with avalanches and seracs while on its normal route lay the Khumbu Icefall. So why does he keep going back? Love Raj attributes that to a desire to test himself, Everest being well known (he doesn’t deny that) and the fact that some of the opportunities he got were to climb from less attempted faces. Both the East Face expeditions, he said, progressively leached fear away from him as he improved his technical skills. Most important, Love Raj credits his good fortune at being able to visit Everest repeatedly, to his humility, born from a hard life in the mountains. “ I struggled in life. No work on any expedition was below my dignity to do. That baked my character and even now I don’t hesitate to do any work on an expedition. I know struggle and I know when someone else is struggling,’’ he said. Asked for his impression, Rishikesh Yadav, who led the 1998 Everest expedition described Love Raj as “ tough, dedicated and resourceful.’’ Love Raj is a recipient of both the IMF Gold Medal and the Tenzing Norgay Adventure Award. Interview over, we had lunch at a restaurant nearby. I found that Love Raj had turned forty just the previous day. He talked affectionately of his new born son. His wife Reena is a mountaineer, an outdoor educator (she has worked with the US based-National Outdoor Leadership School [NOLS]) and the first Indian woman to ski to the South Pole. Life had come a long way since Nanda Kot. On the evening of May 21, 2013, I chanced to call up Reena in Delhi. According to her, early that morning, around 6 AM, Love Raj reached the summit of Everest; his fifth successful climb to the top of the peak. The news arrived through agencies in Kathmandu, she said. For all that happened since 1989, he doesn’t recall paying any special attention to the eastward stretch of the Himalaya, from the top of Nanda Kot. He had been just happy for first mountain summit reached. Please note: the height of peaks are as mentioned in Wikipedia and the Himalayan Club Journal. July 2nd; it finally rained in Mumbai. One hopes it is the monsoon. Hope is a good word. The morning run was wonderful. Drenched in steady rain, shoes soaked by water collected on the road. The following is an account from earlier days. At his house in upper Paton, next to the trail leading to eastern Kumaon’s Ralam Valley, Kharak Singh empathized with the weather beaten hikers relishing the roti and daal his family had made. Over a long trek of 44 days, threading various trails from Garhwal to Kumaon, we had precipitation in some form – rain, hail or snow – for some duration, everyday, for more than 30 days. Only the balance was totally precipitation free days. Singh was a friend, known well to one of us. In Paton, we decided to say hello and seek a break from our daily routine of cooking food. During dinner, he listened to our story. “ The weather has become unpredictable,” Singh said shaking his head. Late-May 2014: Families in Paton were gearing up for their annual migration to higher pastures and farm lands. In summer they move up; in winter, they move down. Even the local school – teacher, students, books et al – migrates to premises higher up in Ralam for 3-4 months. Kharak Singh’s family was preparing to shift. Provisions had been bought. Two days after we had dinner at Singh’s house, we found pack loads for horses, mules and goats being readied. A white ram bolted trying to shake off the gunny bag strapped to its back. It ran around the house, ran circles around trees. Kharak Singh laughed; his grandchildren even more. The mirth hid a reality. “ We are already ten days late,” he said attributing the delay in migration to the fickle weather and untimely showers. Similar to what we experienced in the early part of our hike, precipitation had apparently occurred here in the East Kumaon hills too. Then it gave way to welcome warmth, which grew to an unexpected heat. March to June is traditionally the Indian summer. In the Himalaya and while hiking there, it is never exactly so. The occasional shower characteristic of specific valleys, is a given. Further, it snowed well last winter. In early March, on a hike preceding the current hike, some of us had post-holed through thigh deep snow at places known to host snow at around 11,000 feet. 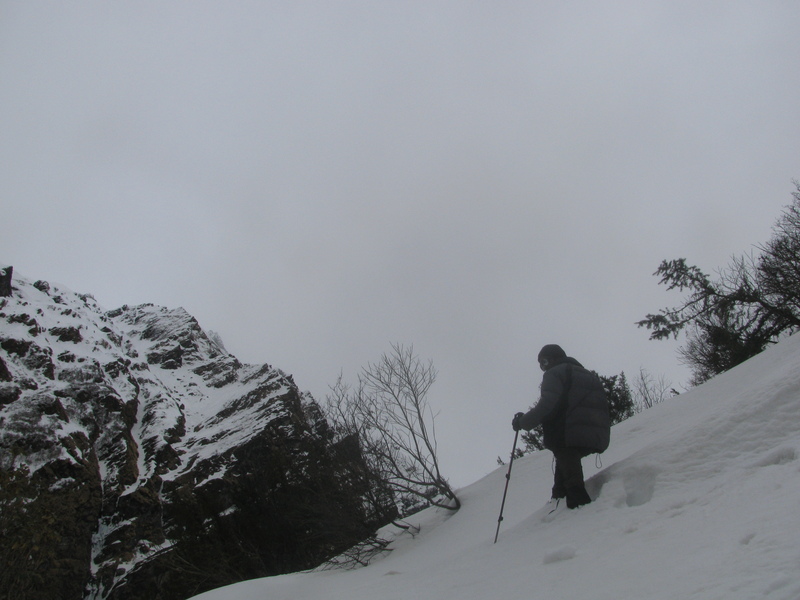 With heavy pack on one’s back and leg stuck thigh-deep in gaps between boulders and tree roots concealed by snow, often, there was no way out except to slowly wriggle the leg free. It also rained in March making for a cold, wet environment. By April-May and with the rains still around, villagers expressed concern at what the unseasonal showers meant for farming. 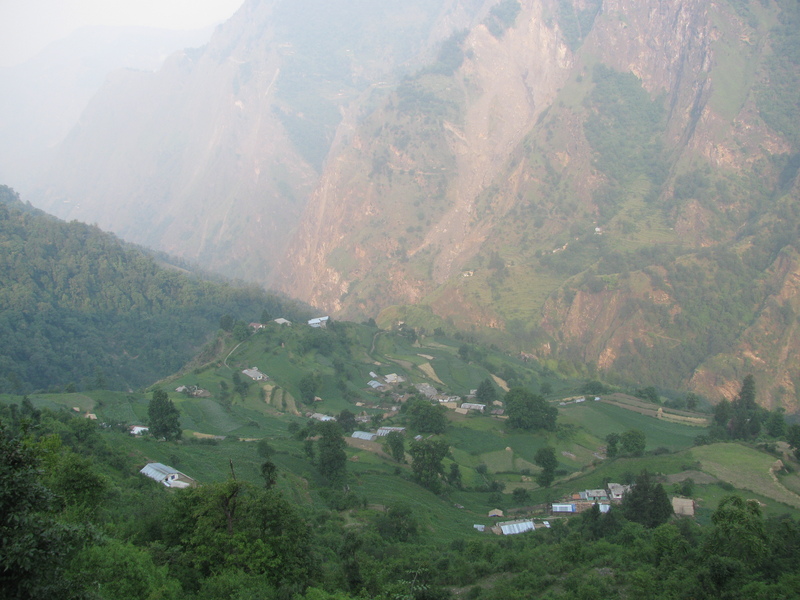 In Namik, a villager quipped that life in Uttarakhand was beginning to resemble Chirapunji’s, once the wettest place on Earth. 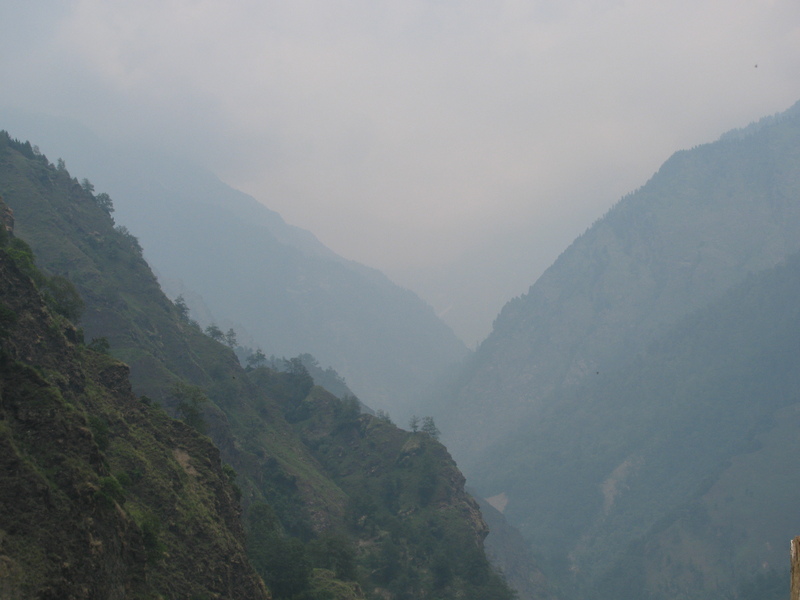 That was an exaggeration likely inspired by rain induced-calamity, a regular feature in recent years in the Himalaya. In 2013, hundreds of pilgrims had died in Uttarakhand following cloud burst and flood. It haunts. The worry colours comments about the weather. Not everyone inconvenienced by weather counted on pilgrimage and tourism for sustenance. Farmers were more matter of fact. One late evening at Bhainsia Kharak, a high altitude pasture between the Saryu and Ramganga valleys, we met a group of villagers with a goat in tow. Their agenda was literally down to earth. As the goat wandered around eating grass and licking our backpacks, the villagers informed that the animal was to be sacrificed to appease the local gods and usher in fair weather for agriculture. Unseasonal rain wasn’t good for crops in the field. “ Everything will be fine from tomorrow onward,” one of them assured. The next day dawned clear. At the nearby mountain pass, we came across the villagers, idling after the early morning sacrifice. Then over the next couple of days, the rising heat grew so annoying that we found ourselves praying for a cold shower. It came, the sacrifice on Bhainsia Kharak notwithstanding. “ I don’t know what’s going on but nowadays when it rains, it pours and when it is expected to be warm, it is hot,” Kharak Singh said. His observation seemed closer to fact; that’s the shift in weather pattern happening. 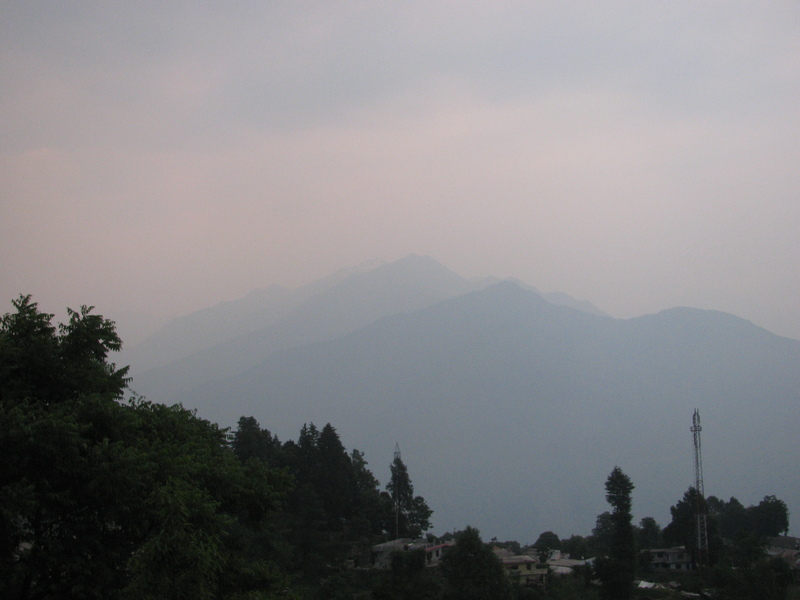 As the heat increased, dust and smoke invaded the high ranges. It was the likely product of distant forest fires, perhaps smog from the plains too. After some days, the persistent heat culminated in rain. The cyclical process was classic high-mountain but the intensity of wet and warmth had changed. Post rain, the suspended dust settled. From a ridge overlooking the Goriganga River and the trail to Milam Glacier on the opposite side, we appreciated the visual relief. It was beautiful mountain world revealed. We got back to a Delhi boiling in the 40s (centigrade). Two days later, a dry, summer storm slammed the capital city. The world darkened with approaching dust and foliage swayed as though a T-Rex from Jurassic Park was ripping through it. Precipitation was little but the high speed-wind felled trees. The next day’s paper said: nine dead. Outside my room with ceiling fan, the scorching Delhi summer continued. Some days later in Ranikhet, I got my first ringside view of a forest fire. I felt the hot wind from the fire, in my face. I saw dry vegetation burn with a crackling sound. I had long known that pine forests are homogenous. The acidic pine needles fall on the ground and make it inhospitable for other plants and trees. They discourage variety in vegetation. Now I learnt another dimension – dry pine needles burn easily. Add to it, pine cones (they burn well) and hillsides; you have a fire that reminds of medieval wars, when armies used to roll down barrels of burning oil and tar. “ Pine cones roll off and spread fire. That’s why, sometimes, a forest fire on a hillside spreads in discontinuous ways,’’ Thakur Singh explained. We had come to assist a neighbour whose house was in the path of fire. When we poured water on the spreading forest fire it merely paused and smoked before resuming its wind aided advance. An hour later, the wind stopped and with it, the fire subsided; then died. Apart from an abandoned house with roof covered in pine needles, everything else survived safe. The forest floor was black. A dozen human beings, neighbours turned fire fighters, wiped the sweat off their brows. They had seen such fire before; they will see it again. Typically the monsoon reaches India in June. It is both a life giver and a complex weather phenomenon formed through developments straddling a vast span of the globe. Early June, news reports talked of a monsoon, likely below normal. To blame is El Nino in the far off Pacific near Chile. Impacted, is South Asia half a world away. Such is the networked architecture of the planet’s weather! Illogical and lacking science it may be – but on the trail, we had speculated during rainy days whether such untimely and enduring showers in summer could mean a weak monsoon later. We are not meteorologists; just hikers. It is old weather no more. Yet in this country, we have people who doubt climate change. Maybe they live in climate controlled-rooms. Nobody outside and moving escapes the weather. End June: am back in Mumbai. Aside from weak drizzle, that too just once or twice, there has been no rain here. As if with great difficulty, the sky occasionally gathers grey and then all the clouds blow away. Marine Drive resembles a magnificent amphitheatre for the city’s famous bay and its sky above. During monsoon, that sky is brooding dark; the sea, it lashes against the sidewall and sprays those walking by in foam. This time, the sea was calm; the sky, a vast vacant expanse in which a few clouds casually sailed by. Over June 1st to 25th, the deficiency in rainfall in India was around 40 per cent. Latest forecasts cited potential monsoon recovery by July 6th. The past few years have been years of economic inflation with price rise for one reason or another. Anyone would tell you that a weak monsoon could mean a bad year for agriculture with potential impact on food prices, in a country where food prices anyway rise thanks to hoarding. Amidst this worry, the government gifts the country a stiff hike in rail fares and then partially rolls it back. Inflation is like climate change. You don’t feel it in controlled atmospheres afforded by money and power. I am sure that as with climate change, there are people around asking – inflation? What inflation? Meanwhile, there was news from Assam in North East India: a relentless downpour and flash floods in Guwahati.